We manufacture and export a qualitative range of Masala Mixing/ Tilting Machines. Our personnel make use of premium grade raw materials and advanced techniques of production to fabricate these machines. These machines also stringently checked and are in compliance with international quality standards. Moreover, we also customize these machines as per the specifications of our clients and offer them at competitive prices. 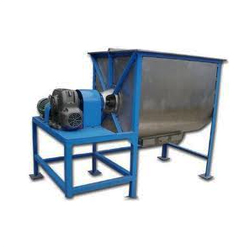 Blander Mixer Machine (Basically used for Detergent/Spices/Powder mixing) is used for industrial and individual purpose. Blander Capacity = 50kg,100kg & as per customer requirement. Looking for Masala Mixer ?